Moss Agate tumbled healing gemstone. Moss Agate helps to free us from spiritual blocks. It will encourage us to take some new approaches after we have gone through periods of holding back or hesitating by providing us the inspiration to begin again with renewed efforts. Nicely tumbled and polished with a lustrous sheen. A medium size of 1 inch. Perfect for carrying in your pocket or pouch, for crystal layouts or Chakra meditations. Brings energy from the outer bodies and chakras into the physical level by moving energy from your head to your feet. Helps to make spiritual knowledge conscious on earth plane levels. Helps to incorporate our life purpose and spirituality into our every day actions. In other words, to walk our talk. Moss Agate has a trigonal crystal system and is in the mineral class of oxides in the quartz group. It's coloring is green to almost clear sometimes, with mossy looking inclusions. During the formation of Quartz, while it was still in a thick liquid state, manganese or green iron silicates flowed through it and deposited themselves forming patterns that seem to resemble plant structures. Occasionally you may even find one with red, orange or golden brown steaks through it, but not often. Scientifically this one is in reality a Chalcedony, but since the name of Dendridic Quartz is already used as a synonym for fossilized wood it would seem we are stuck with the old name. It can be found in several areas of the United States, as well as in Australia and India. Moss Agate can, and needs, to be used for a long periods of time. While a slow worker, it is a consistent one. 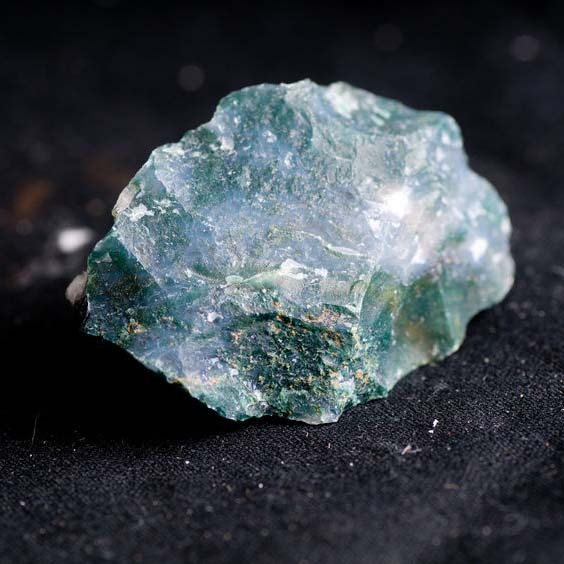 Carrying this one as a tumbled stone, wearing as a pendant or in a bracelet are some of the best ways to enjoy the healing qualities of this wonderful stone. Moss Agate works well to liberate us from pressure and stress. It seems to help dissolve our deep fears and and encourages us to trust and hope. 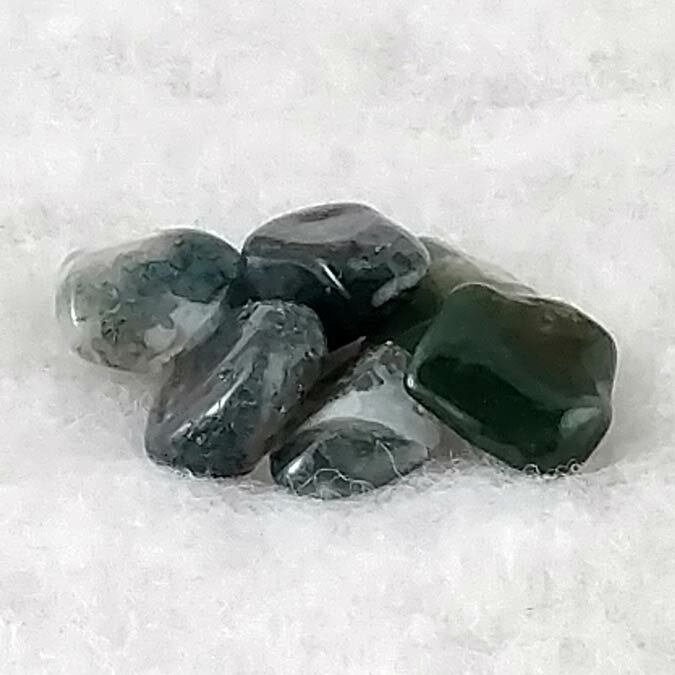 Moss Agate gently encourages our ability to communicate, helps us to be more certain, and shows us that even in the most difficult of times or circumstances we can wake up our thinking and find creative solutions. Moss Agate helps with the flow of lymphatic fluid, helps to alleviate swelling of the lymph nodes and has also been known to have an immune boosting effect with stubborn infections. It can also provide anti-inflammatory benefits and can help calm sensitivity to changes in the weather. Moss Agate has&nbsp;an affinity with Gemini. It is a&nbsp;wonderful stone for those involved with agriculture or botony and is also of value to midwives. Its Energy is Receptive, its planet is Mercury ;and its Element is Earth. Moss Agate has been used as a gardner's talisman for centuries. It has also been used in spells involving riches, happiness and long life. It seems to bring its user a closeness with nature and a connection to Gaia or Mother Earth.